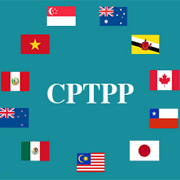 The CPTPP is a Free Trade Agreement between Australia, Brunei Darussalam, Canada, Chile, Japan, Malaysia, Mexico, Peru, New Zealand, Singapore and Vietnam. It recognises the challenges facing small and medium sized businesses in establishing export markets and includes outcomes to help make this task easier within the CPTPP regions. After nineteen official rounds of negotiations spanning many years, the CPTPP Agreement was signed by the 11 countries on 8th March, 2018 in Santiago, Chile, allowing Queensland businesses to expand their opportunities within overseas regions. Learn how to take advantage of the CPTPP agreement so that you can maximise your businesses potential within the overseas markets.